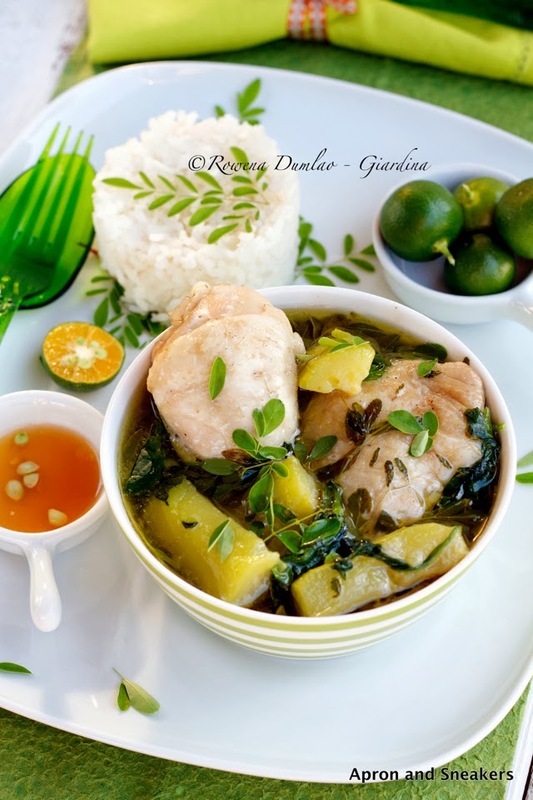 Nothing can be more perfect in this chilly weather than to prepare this chicken soup made with loads of ginger, green papaya and moringa leaves with a dipping sauce of calamansi lemons and fish sauce. I'm still the same person, don't worry and I am speaking normal too. Those ingredients might sound too strange to you so let me explain. 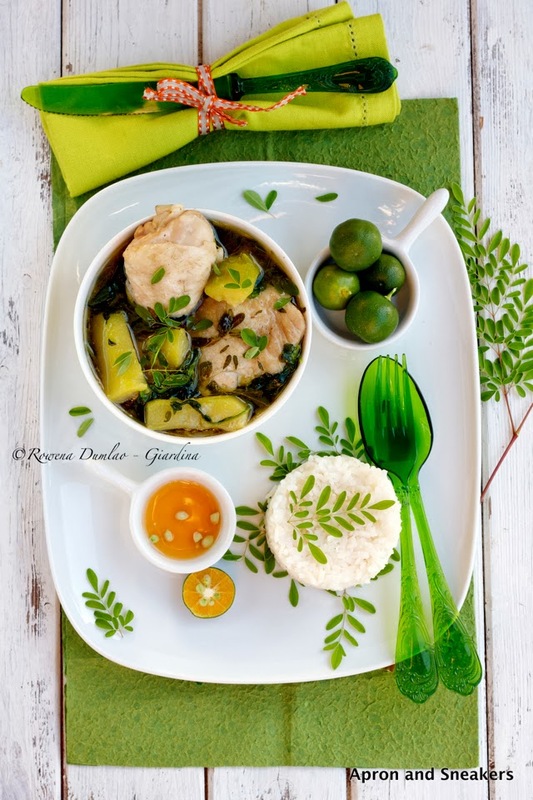 This is a traditional Philippine dish, and almost everyone would claim that it's his comfort food when the temperature drops by a couple of degrees, the sky turns gray and the rain starts pouring. That's precisely when the monsoon season starts banging on the doors. Being a tropical country with an unfaltering temperature of 30 something degrees Celsius all-year-round, there are only a couple of seasons which are referred to as wet (monsoons) and dry. The soup has strong Asian components. If there's a zing of ginger, then it's unmistakably Asian. You actually won't taste the green papaya at all but it's the part that I love best. Unfortunately, in Italy, it's close to impossible to find them so I learned to substitute with chayote, or zucchini if I am really desperate. Both are also quite insipid so there's no harm done to the overall taste of the dish. Moringa leaves do not really add flavor and even in the genuine dish, you will rarely encounter this as they are hard to come by. I put them because I am a proud owner of a tree inspite of the untropical Roman weather. I planted my own tree from seed more than a decade ago. Oh, and guess what? 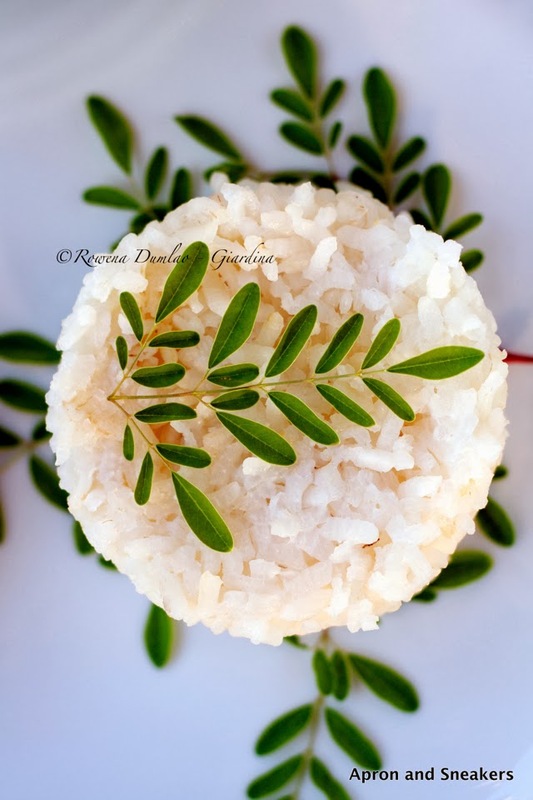 Moringa is one of the healthiest leaves that you can eat. 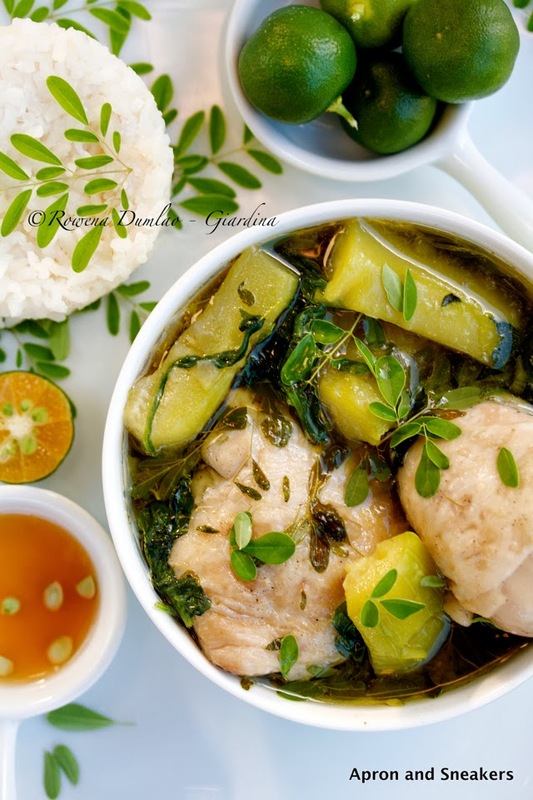 It's rich in protein and Vitamins A,B & C.
The flavor of the soup is already perfect but some would still prefer to have a dipping sauce of calamansi lemons and fish sauce mixed together. This is putting it to a higher level of enjoyment for the ones who like fish sauce. None of my kids and husband would even touch my pungent sauce. Note: This dish can only be enjoyed with steamed white rice. Since I am way off schedule these past days, I am trying to keep up in sharing the recipes I created for the food sites I write for. You can find this recipe in She Knows if you click on this link. If you want to see my profile page there, click on this link.